Now the region, a world away from modern Italy, could be on the verge of an international tourism boom. With incoming travel numbers on the rise in the country, visitors are increasingly searching for lesser known and undiscovered regional destinations -- and Abruzzo has it all. Abruzzo may never have the beach reputation of the Amalfi Coast, Sicily or Sardinia, but it holds its own in terms of long stretches of sandy beach along the Adriatic. The ones that consistently receive the Italian blue flag rating for pristine waters are in Chieti or Teramo province. Ortona is popular with locals and boasts many beach clubs and Pineto is another resort town with sandy beaches shaded by pine trees that give it its name. 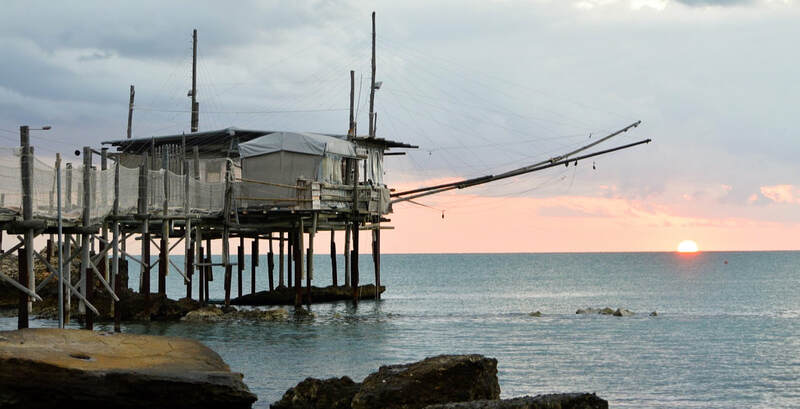 To the south, Vasto was a famous Roman fishing village and boasts a sandy stretch, and the characteristic medieval town is perched high with lovely sea views. The natural beauty of Abruzzo rivals every region across the boot-shaped peninsula. Many of its seven picturesque lakes have nearby camp sites or accommodation options as well as water sports like rafting and canoeing. Lake Bomba has tourist resorts in its vicinity and Lake Scanno and Barrea are some of the prettiest, encircled by mountains and winding roads on approach. The Sorgenti del Pescara (natural reserve with crystal clear springs) by the small town of Popoli is another favorite with locals, particularly on hot summer days. With their mountain landscape, it's no wonder towns like Roccaraso, Castel di Sangro, Ovindoli and Campo Felice are magnets for avid skiers from Italy and other parts of Europe. The area gets a heavy and lasting snowfall each year and with the Cinquemiglia (a five-mile long, 1,200-meter-high plain), Abruzzo gives other Alpine destinations a true run for their money (at a fraction of the cost). A third of the region is made up of national parks, making it the most rural region of Italy. In the warmer months, hiking trails in many of these towns are perfect for those who love the great outdoors. Some of the best are in the Abruzzo National Park and the Majella National Park. Away from the crowds of more famous medieval towns like Tuscany's Siena or San Gimignano, places like Pescasseroli, Tagliacozzo and Santo Stefano di Sessanio provide even more authentic regional experiences and stunning scenery (some even with castles). One of the most distinctive is Rocca Calascio, which boasts a watchtower from the 10th century and remains the highest fort in all of Italy, at nearly 1,500 meters above sea level. Abruzzo is touted as the greenest region of Italy due to the number of national parks within its borders and most towns sit off dramatic cliff faces or with imposing mountain ranges as their backdrop. With mountains and sea as its strategic borders, fishing and farming are this region's lifeblood. The cuisine therefore varies significantly from the coast, where seafood dishes are prominent, to the inland areas where legumes and meat -- especially mutton and pork -- reign supreme. Arrosticini, thin mutton skewers, are one of its most famous dishes. Simply salted and flame-grilled, they are ordered at family dining tables in the hundreds. Abruzzo also has a long history of pasta-making and has produced handmade spaghetti alla chitarra for more than 200 years. This variety of egg pasta is pushed through a wooden contraption that has stainless steel guitar-like strings. Sulmona is famous for being the capital of sugared almonds, known as "confetti" in Italian, and torrone, classic Italian nougat. The city sits within a UNESCO-protected valley, once a lake that disappeared in prehistoric times. The streets here are lined in floral creations made up of confetti covered in colored paper and bunched into bouquets. You can buy these beauties in any flavor imaginable -- Nutella, tiramisu, ricotta and pear, fruits of the forest, hazelnut, the list goes on. Check the original articles on the ​CNN Travel website.